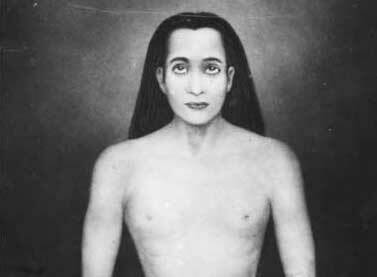 Long before Yogananda was born, a saint named Babaji lived in the Himalayas. One day, Jesus appeared to him, and told him that although Jesus' followers still do good works, they have forgotten how to commune with him inwardly in meditation. He told Babaji to send someone to the West to remind his people that the goal of life is to become one with God through inner communion. That person was to be Yogananda. Paramhansa Yogananda (sometimes spelled Paramahansa Yogananda) was born in 1893 in Gorakhpur, India. 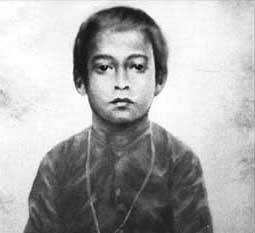 He was named Mukunda Lal Ghosh, and was the fourth of eight children. His mother passed away when he was about 11 years old, and soon after he had a vision of Divine Mother, who said, “It is I who have watched over thee, life after life, in the tenderness of many mothers!” Divine Mother remained the center of Yogananda’s devotion for the remainder of his life. As he was growing up, Yogananda sometimes attempted to run away to the Himalayas to devote himself completely to God. He finally compromised with his family and moved into an ashram. On one trip to the market with another monk from the ashram, Yogananda saw a man with a powerful aura around him. He turned to walk away, but found that his feet couldn’t move. He turned back to look at the man, and suddenly realized that the man was his guru. He fell at his feet and expressed his love and gratitude. The man’s name was Swami Sri Yukteswar Giri. After living with his guru for a while, and being given the name Swami Yogananda, he decided to start a school where young boys could receive a well-rounded education. Yogananda’s educational system would include a spiritual and moral education, as well as a secular one. It grew quickly, and soon moved to a nice location in Ranchi given to him by a maharaja (nobleman). One day, while Yogananda was at the school, he had a vision of a large crowd of Americans. His guru had previously hinted that he was destined to go to America, and now he knew it was time. He decided to leave the very next day. When he arrived in Boston in 1920, he spoke at the International Congress for Religious Liberals, and soon had many followers. He chose those who would become his disciples by praying to Divine Mother and only picking those who She told him to. 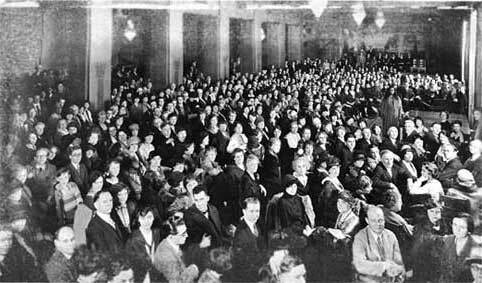 In 1924, he began a tour of lectures across the country, which he called his “spiritual campaigns”. In 1925, he founded a spiritual organization called Self-Realization Fellowship and bought a property in Los Angeles to be his first center. In later years, he also started several other centers. Today, there are many around the world. 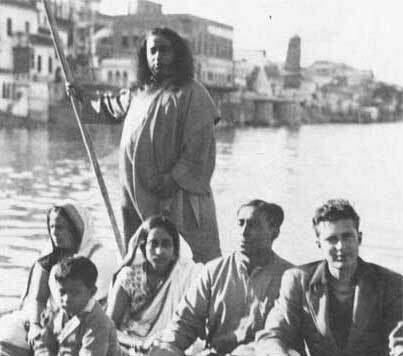 In 1935, Yogananda went back to India for a visit, bringing a few disciples with him. While he was there, Sri Yukteswar gave him the title of Paramhansa, meaning that he has attained full self-realization. 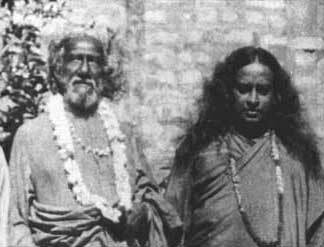 Seeing that Yogananda had become a great master, Sri Yukteswar said that his work was complete, and he left his body. 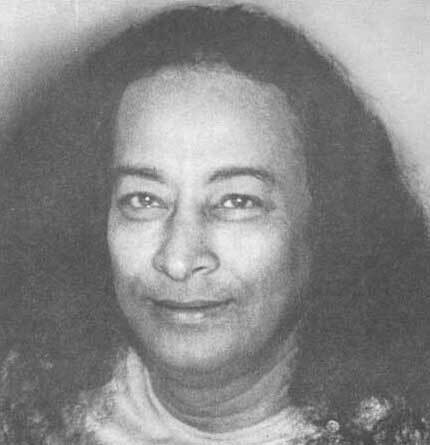 Soon after Sri Yukteswar's passing, he appeared to Yogananda and described to him the nature of the astral universe, which is where our souls go when our bodies die. This enlightening conversation can be found in the Autobiography of a Yogi, in a chapter called "The Resurrection of Sri Yukteswar". In the later years of his life, Yogananda spent more time in seclusion, rather than traveling and giving lectures. During this time, he wrote many books and articles. 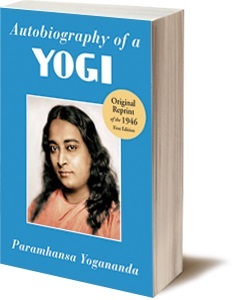 In 1946, Paramhansa Yogananda wrote his best-selling spiritual classic, Autobiography of a Yogi. It has since sold over 5 million copies and been translated into at least 34 languages. Yogananda left his body on March 7, 1952, while giving a lecture at the Biltmore Hotel in Los Angeles, California. He had just finished reciting a poem he had written, called “My India”, which can be found in the book, Whispers from Eternity. Soon after his passing, Self-Realization Fellowship received a letter from the funeral home where Yogananda's body was being kept. They said that, although a month had passed, Yogananda's body was still in perfect condition. They had never seen anything like it before and were amazed. Perhaps some of the divine nature that Yogananda had possessed still lingered in his body. 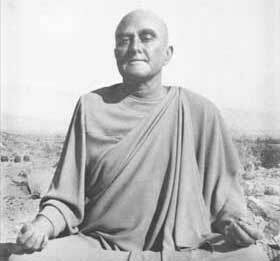 After his passing, Yogananda’s most advanced disciple, Rajarshi Janakananda, became the president of Self-Realization Fellowship. He named Yogananda the "Premavatar", meaning "incarnation of divine love". Since this time, followers of Yogananda in Self-Realization Fellowship and other organizations have continued to spread his work worldwide. Autobiography of a Yogi is the first hand account of the life experiences of Paramhansa Yogananda. It is known as one of the best-selling spiritual classics of all time, read by millions of people all over the world, and recognized universally by varying religious traditions as a beautiful depiction of the spiritual path. It is a treasured collection of stories, humor, and practical and scientific explanations of the great yoga wisdom of the East. Start reading now online for free. Kriya Yoga is a meditation technique that quickly accelerates one’s spiritual growth — though ancient, it was first made widely known by Yogananda in his autobiography. Kriya is more than a simple technique. It can be learned from Ananda Sangha and other groups and in fact represents an entire way of life. 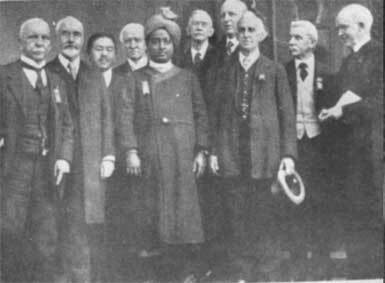 Yogananda asked Henry Ford to be a sponsor of his first world brotherhood colony. Yogananda deeply respected and emphasized the spiritual business practice of Ford Motors’ innovative five-day work week. When George went to India to study sitar with Ravi Shankar he was given Autobiography of a Yogi. He felt that Yogananda was one of the great spiritual teachers of his life. Yogananda and his line of gurus appear on the cover of The Beatles’ Sergeant Pepper album. Read the Autobiography of a Yogi every year. 500 copies of Yogananda’s autobiography were given out at his memorial in honor of his respect for this spiritual gift to the world. Yogananda visited Gandhi at Wardha. Gandhi received kriya yoga initiation from him and learned his yogic energization exercises. Fascinating history and highlights from the life of Paramhansa Yogananda in your inbox every day. In the future, these emails may also include more in-depth stories, information about books on Yogananda, and more. Paramhansa Yogananda was trained for his mission in the West by his Guru Swami Sri Yukteswar of Serampore, India. Born in Bengal, India, to a pious brahmin family, Lahiri Mahasaya was the one who made the ancient science of Kriya Yoga available not just to those who had renounced the world, but to all sincere souls. Babaji simply means “revered father.” Though the great master’s birth name and date are unknown, his subtle spiritual influence is felt throughout the world. Want to learn more? You can explore these resources below from Ananda Sangha — one of the organizations that helps to spread Yogananda’s teachings. Enjoy this website? Please expand that joy by sharing it with your friends. Do you have an inspiring story about how Paramhansa Yogananda’s Autobiography of a Yogi has impacted your life?